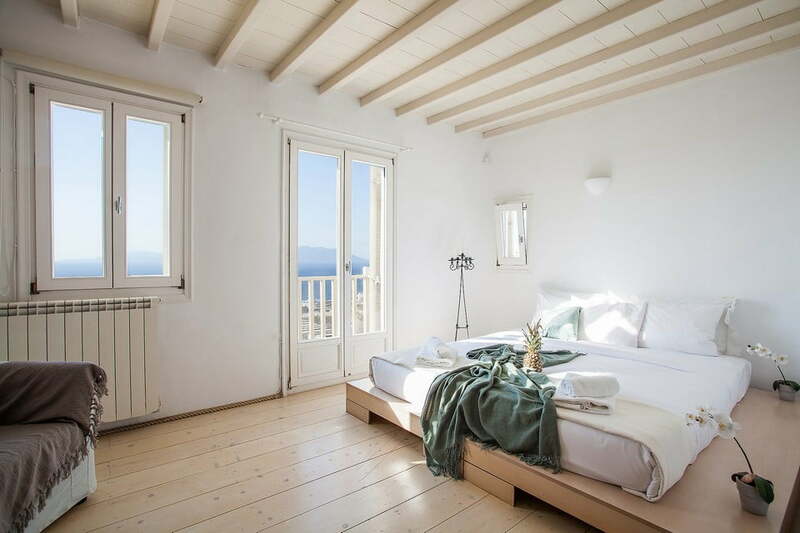 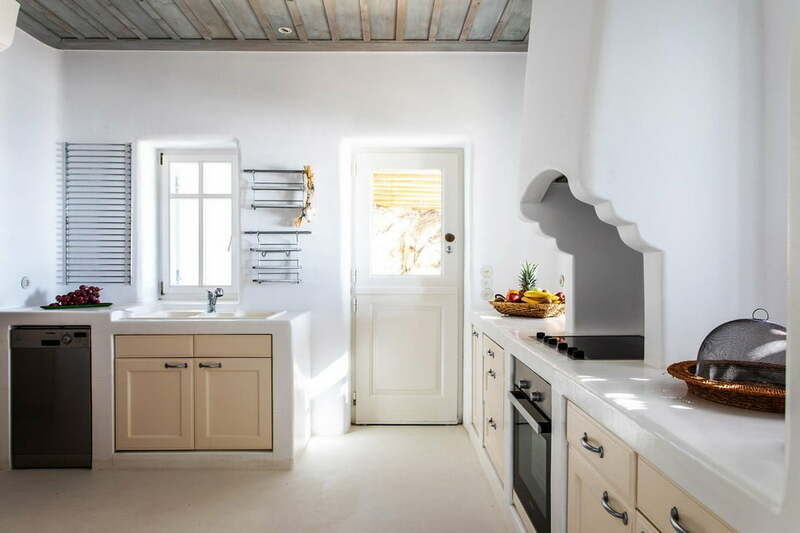 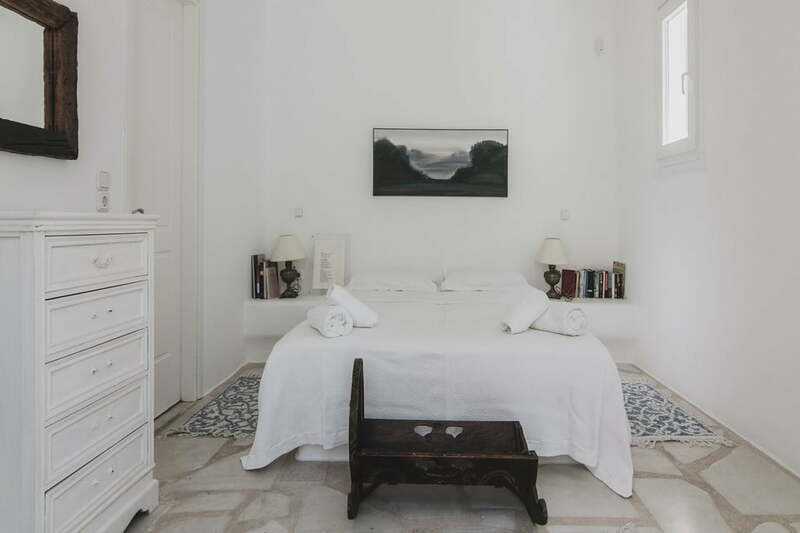 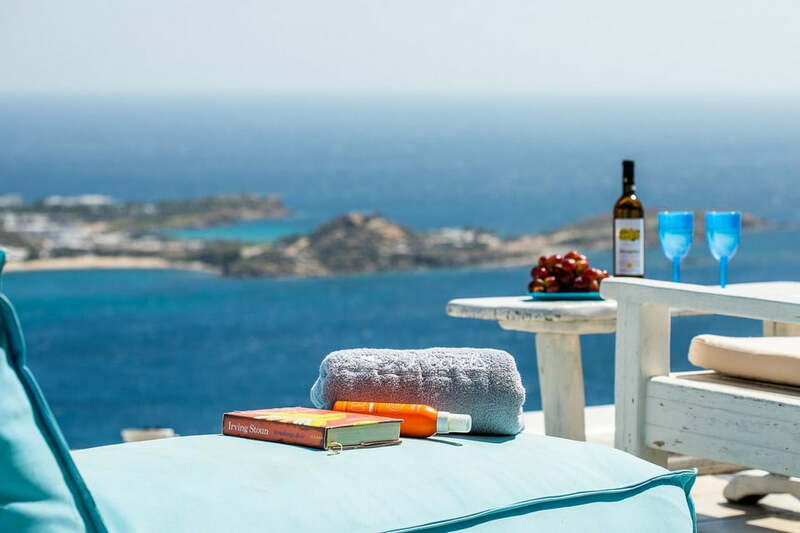 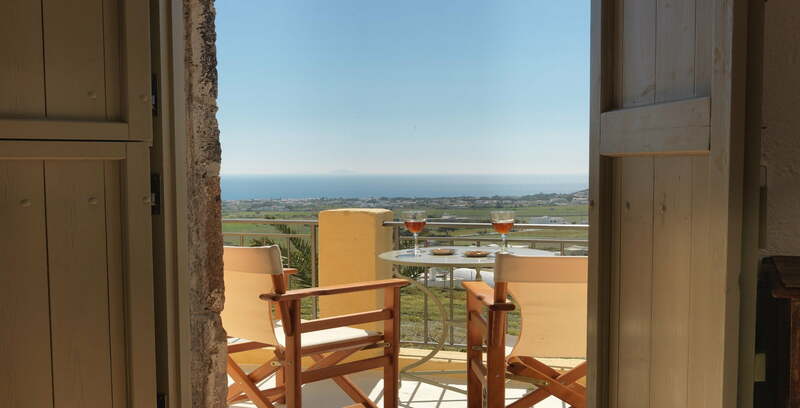 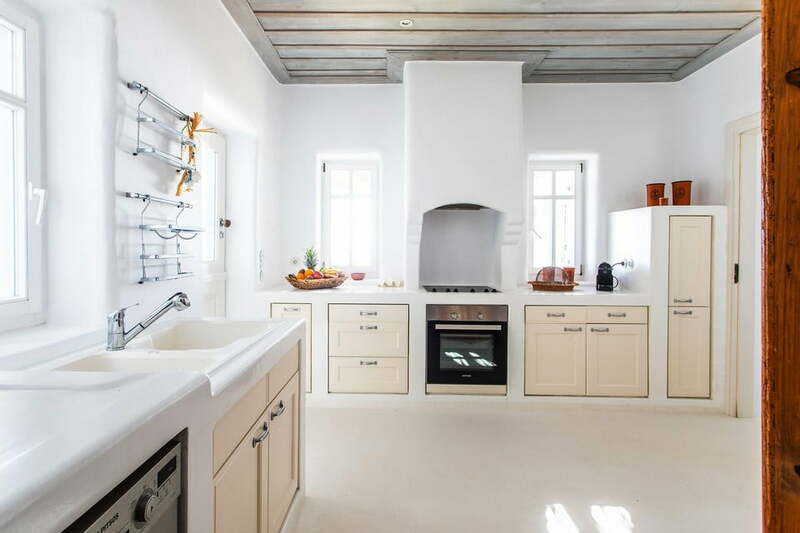 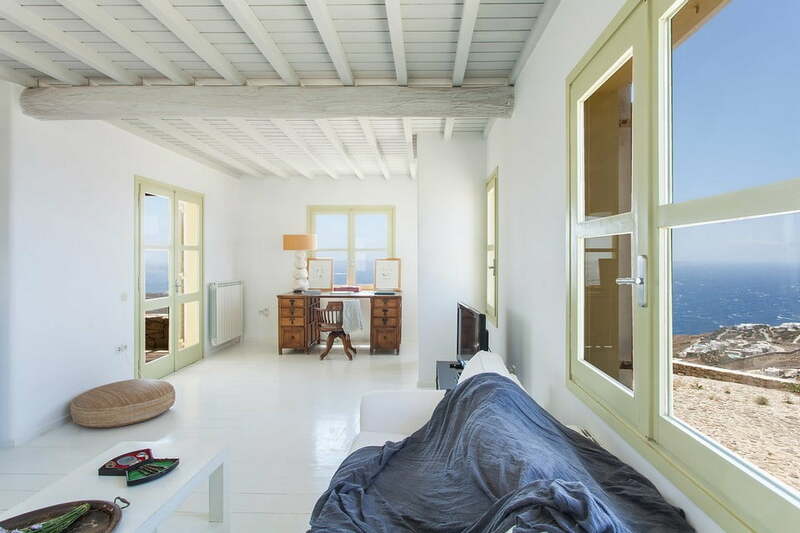 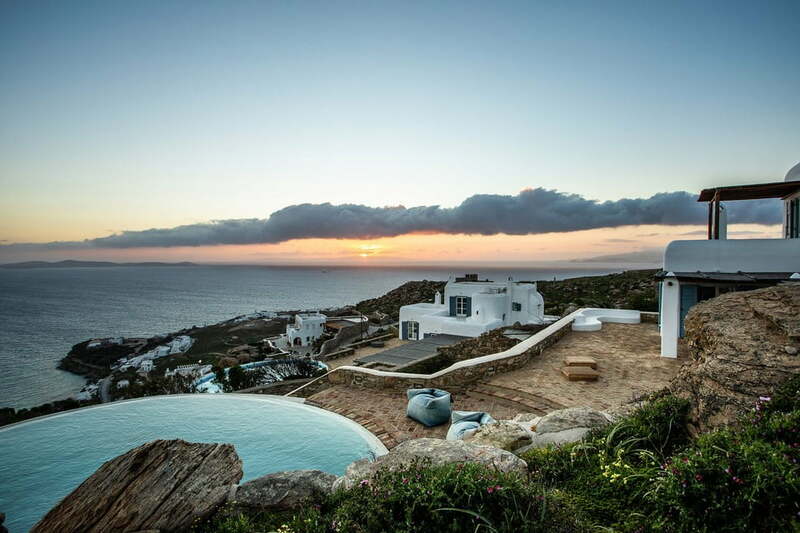 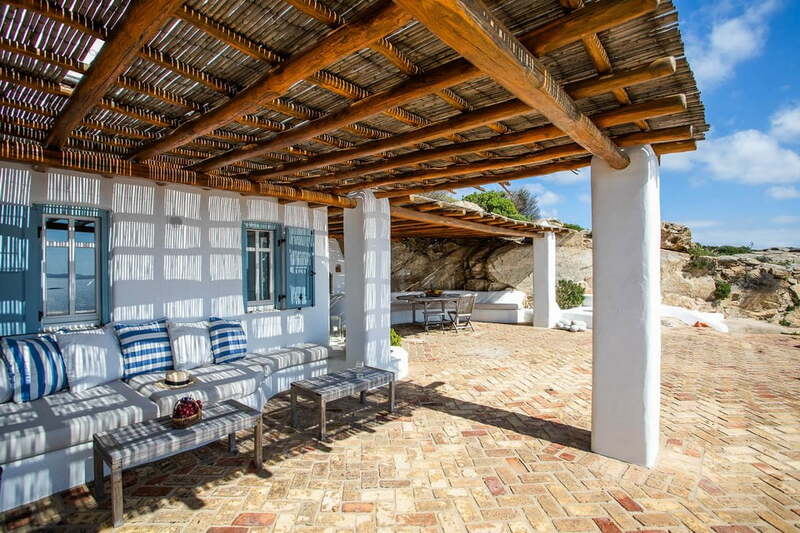 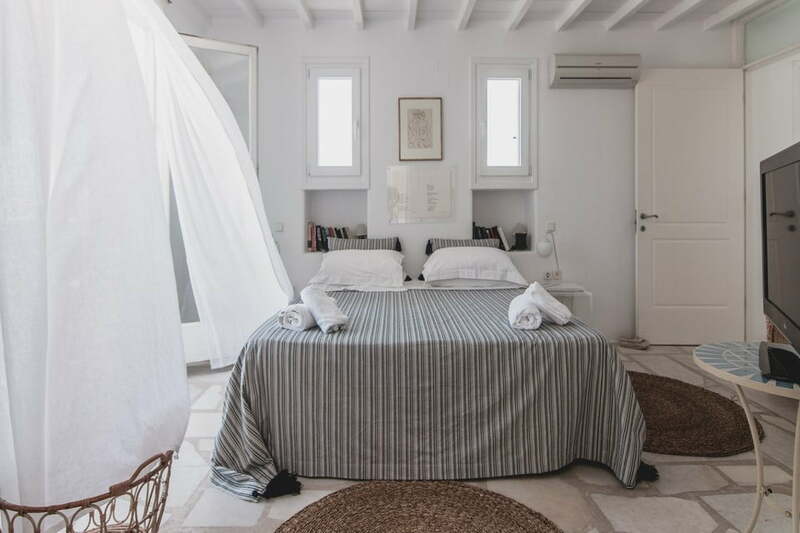 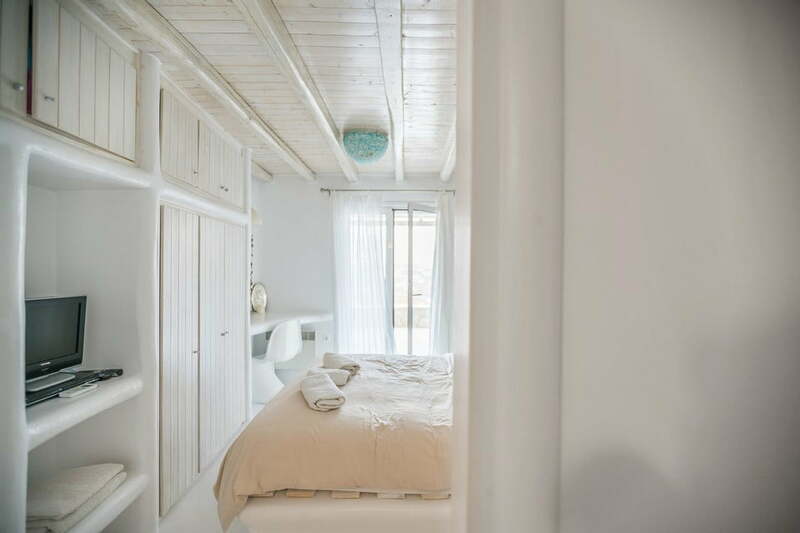 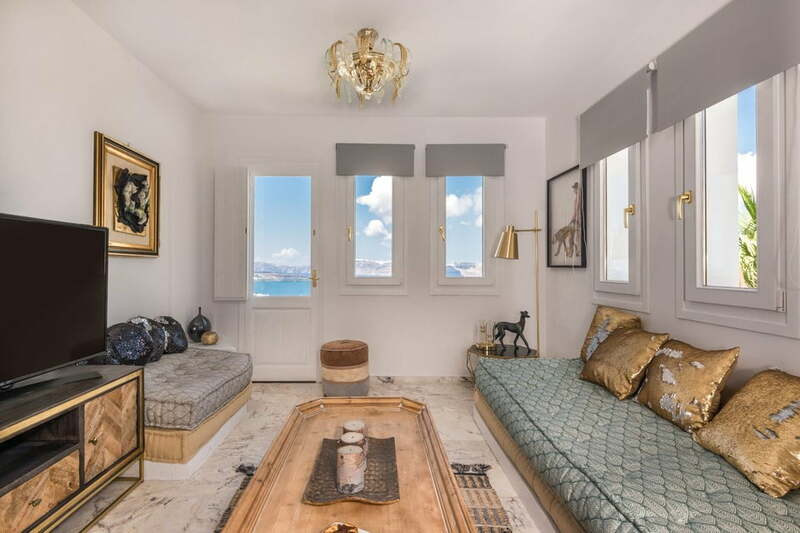 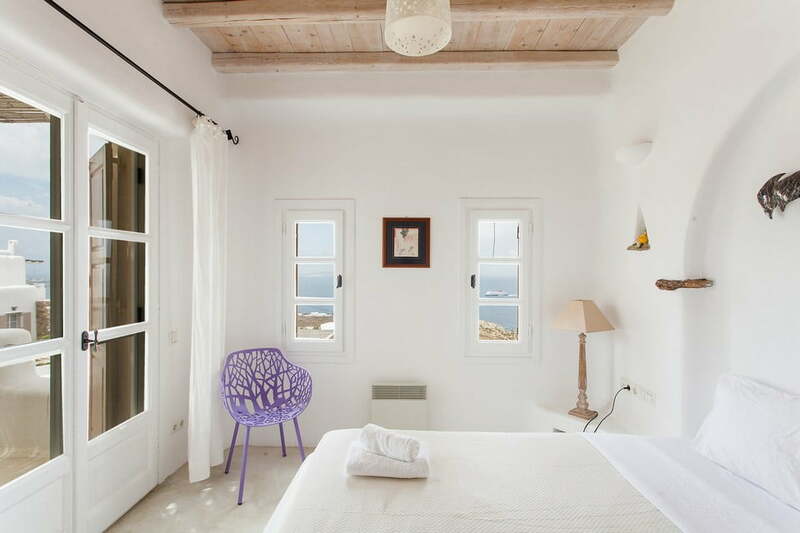 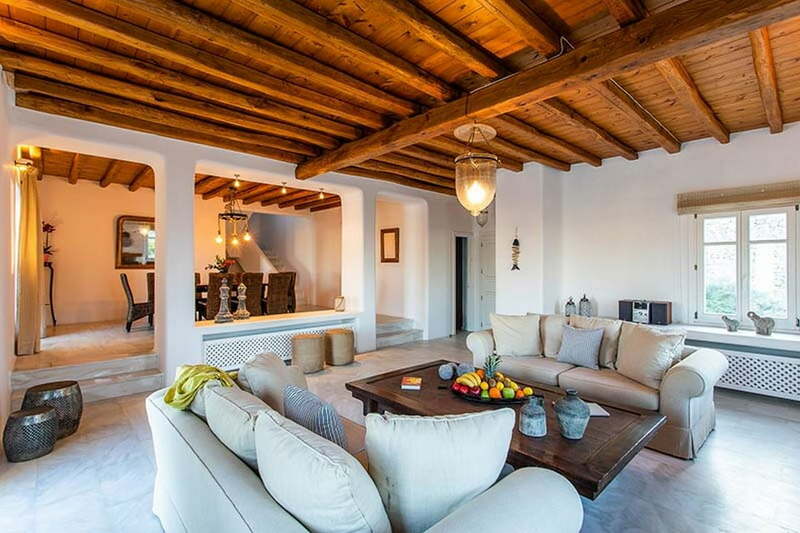 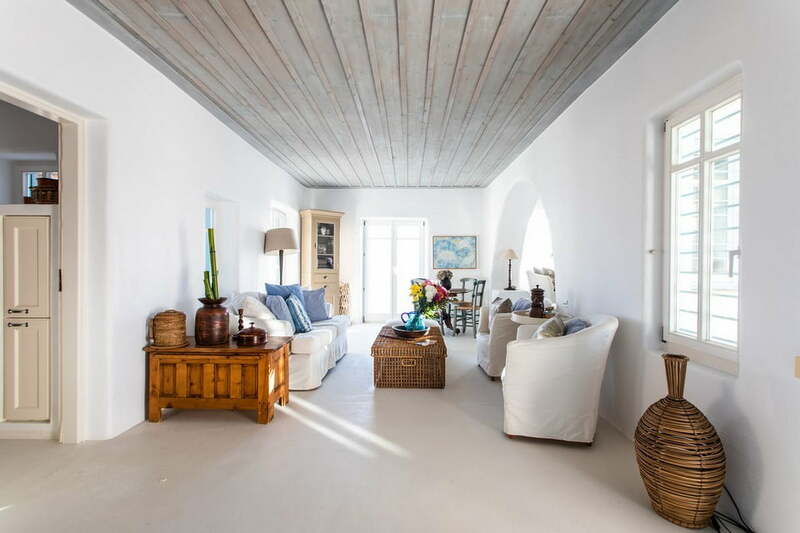 Villa Jeremy is suited in Kastro Fanari on a site of 450m2, with amazing sea views. 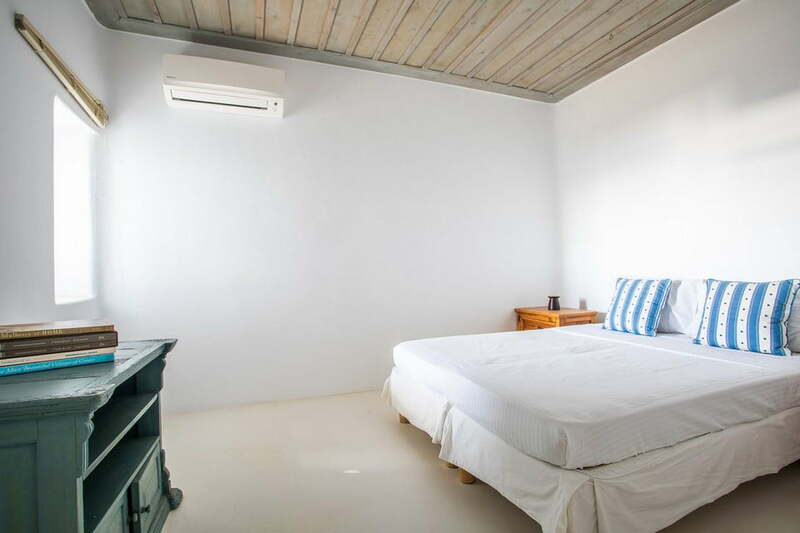 It can comfortably accommodate up to 12 people. 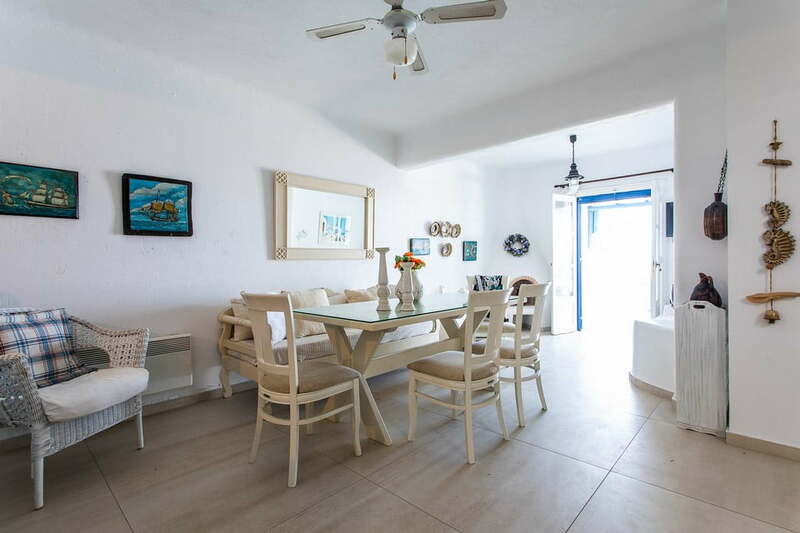 It has 6 bedrooms with an en suite, living room, fully equipped kitchen and an office. 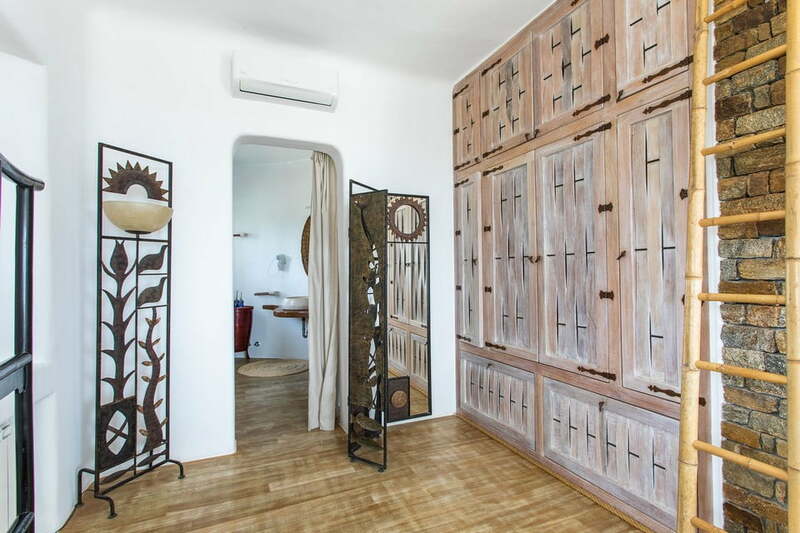 It has wooden floors throughout and exclusive ethnic furnishings carefully selected. 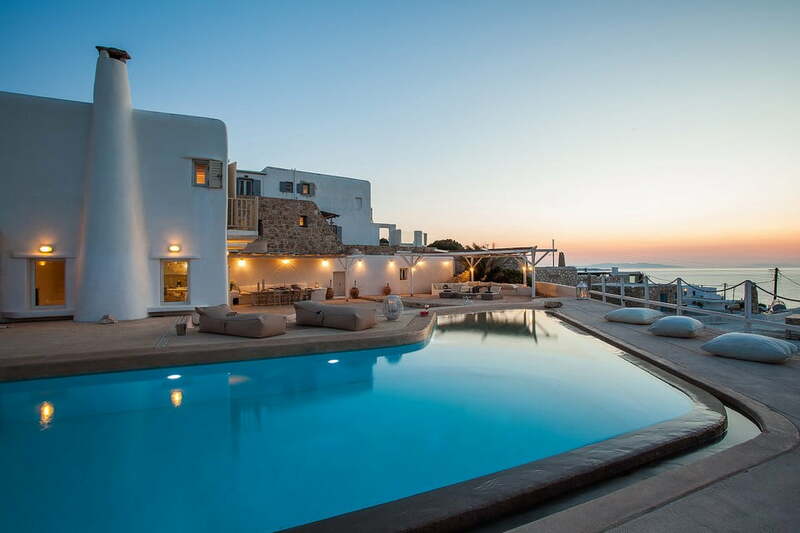 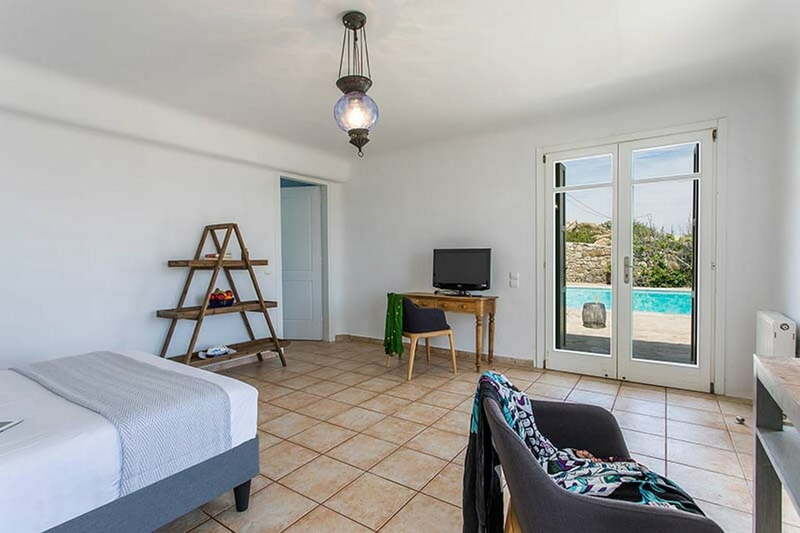 Outdoors, the luxury villa offers BBQ facilities with a spacious dining area and a swimming pool with panoramic views of Mykonos town.